HTC One M8 Eye has been finally launched in India. The new One M8 Eye comes with some robust specifications, although most of the features are similar to HTC ONE M8. It comes with a 5inch display having resolution of 1920 x 1080 pixels. It gains the strength from 2.3GHz quad core Qualcomm Snapdragon 800 processor with Adreno 330 GPU. It will compete (VS) with Oneplus One, LG G3, Nexus 6, Samsung Galaxy S5 and Sony Xperia Z2a. The new M-8 EYE runs on Android 4.4 Kikat customized with Sense 6 UI and the handset is upgradeable to Android 5.0 Lollipop. It has 13-megapixel shooter with dual LED flash and having aperture of f/2.0. It also has secondary rear camera to capture depth information. The front camera has 5MP resolution with BSI sensor and is capable of recording Full HD 1080p Videos. The One M8 Eye is 9.35mm thick and weighs about 160 grams. It also features infrared LED fr remote control. It is accomplished with 2gb of RAM and 16 Gigs of internal storage + SD card support up to 128GB. It houses 2600mAh battery which offers good battery backup. It has dual frontal speakers with built in amplifier. 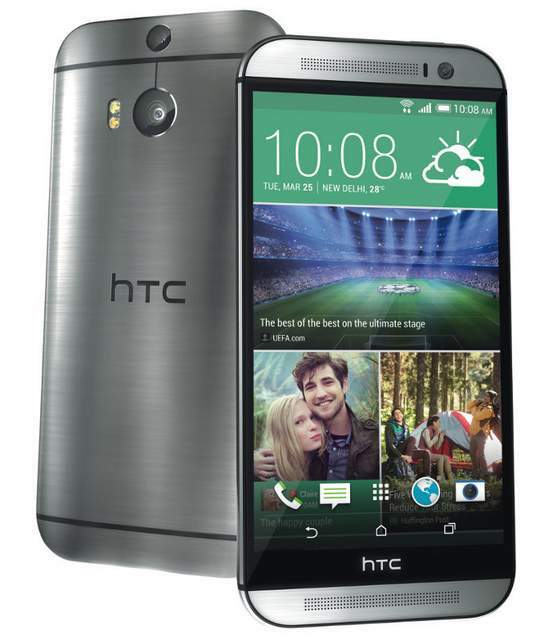 The HTC ONE M8 Eye is priced at INR 38900 and comes in Grey and Silver color. It would be available online from Flipkart , snapdeal and Amazon. HTC one M8 eye has Snapdragon 800 @ 2.3Ghz .. also no IR blaster..